Every April you can find me in Milan for a week visiting Milan Design week, the event for design minded people from all over the world. 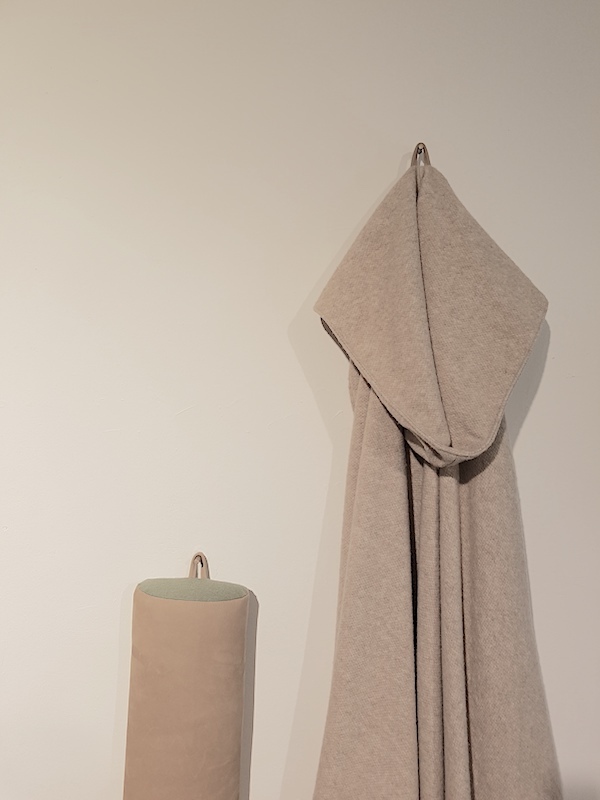 In Milan you will find new design and collections by different brands and designers, while Dutch Design week is more about the proces and the experimental phase towards the finished product... you could say that what you see in Eindhoven you might see in Milan in a few years time as finished products. Our first visit brought us to the Graduation show of Design Academy Eindhoven where over 177 students presented their work on 3 floors. After a short introduction we got time to see the student's projects and talk to them before the official opening and Graduation show. In ancient times salt was rare and costly. Yet, since the industrial revolution it has become so cheap and easily available that we longer recognise its value. 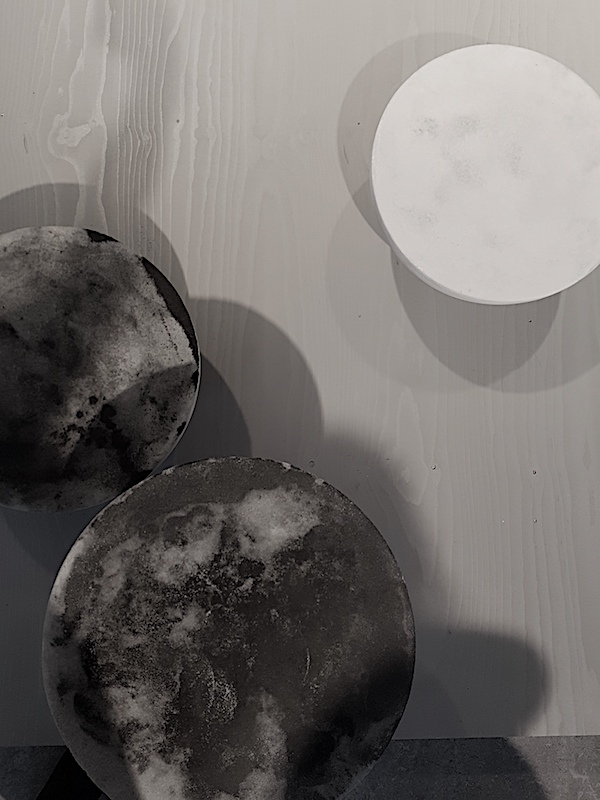 With ‘Marbled Salts’, Roxane Lahidji explores new possibilities, reinventing salt as a sustainable design material. 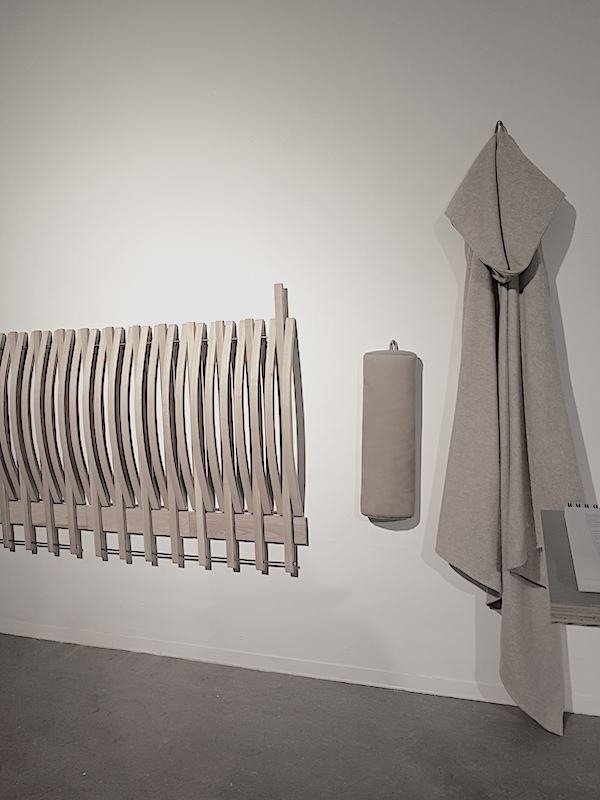 She makes use of its unique physical properties as a self-binding composite to create a set of tables and stools. By mixing it with tree resin, she gives it shape and strength. Coal powder and natural colour variations in salt mimic the aesthetics of expensive natural stone such as marble. To help combat the stresses of our contemporary working lives, Iris Muriël van Houten has created this fold-away daybed so workers can take a power nap even in small office spaces. Sleep is a natural recovery strategy for our bodies but in these hectic times, with people working long hours every day processing a wealth of information, our biological clock is easily ignored. However, research has shown that giving in to the natural after-lunch dip helps people recover, stay sharp, and be more productive. 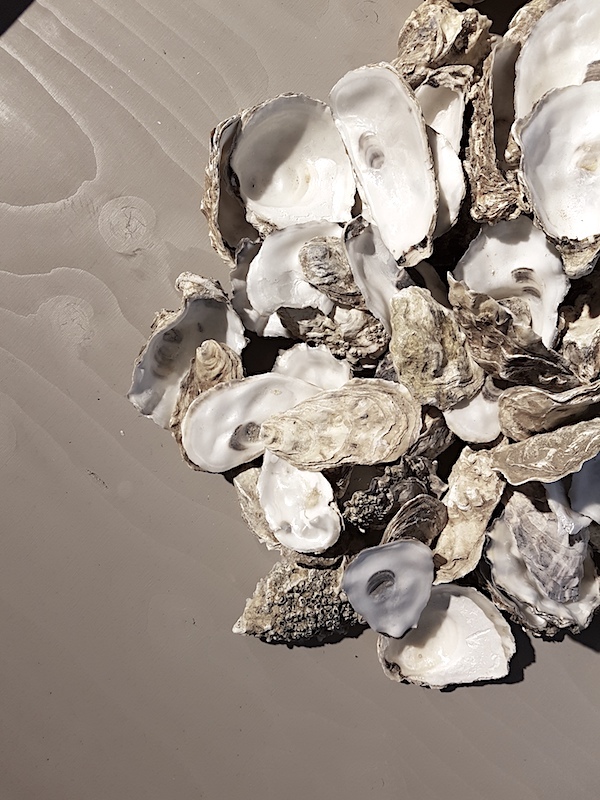 Fascinating I thought was 'Oesterplat" a project by Marjolein Stappers Struck by the beauty of the oyster shells after savouring them at a restaurant, and noticing how they were thrown away as garbage, she came up with the idea for Oesterplat. She started to collect the empty shells from restaurants and found a way to turn them into something more durable. 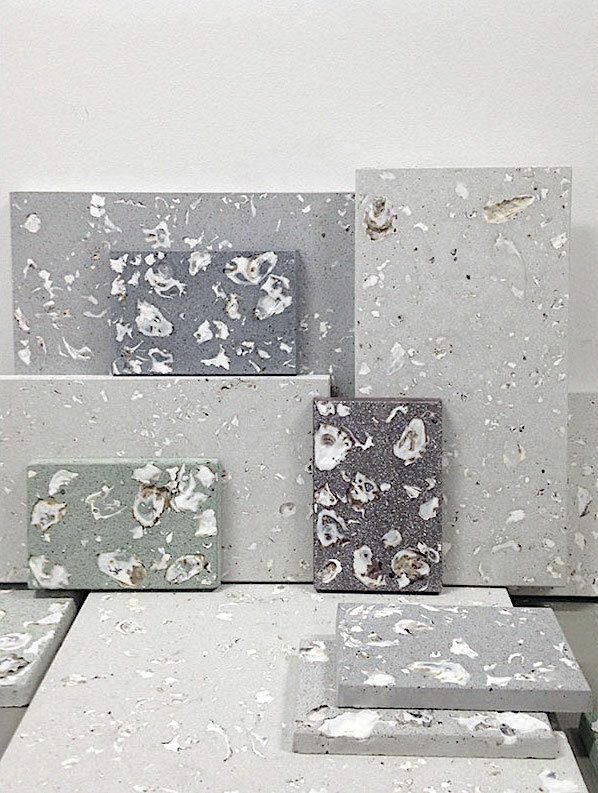 The result is an elegant tile collection made of concrete, marble and... oyster shells, showing their mother-of-pearl shine as newborn fossils. More than ever DAE’s youngest generation of designers is turning doubts about the world into a productive instrument. Surrounded by ‘alternative truths’ in almost every aspect of their lives, they deploy the power of questioning the obvious and do not shy away from unravelling hidden complexities. 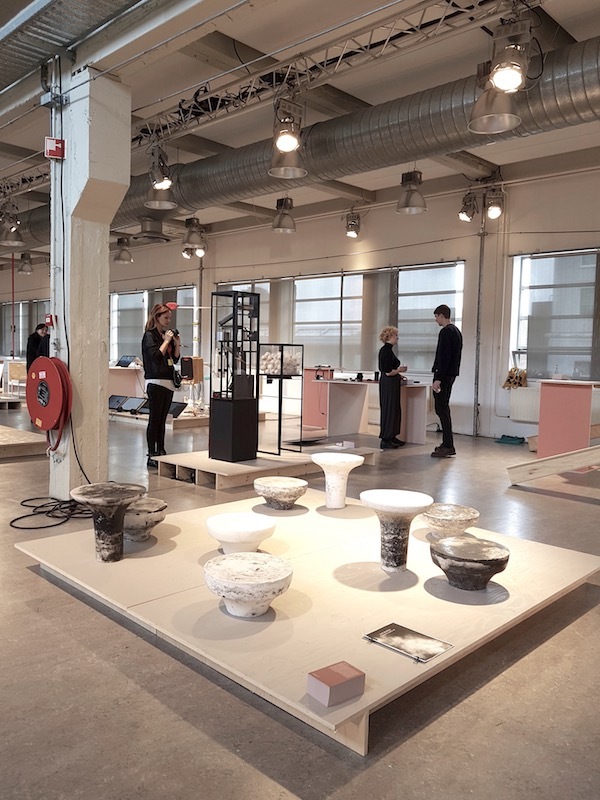 Design Academy Eindhoven’s upcoming Graduation Show presents the outcomes of their fundamental research and reflections. MINED, the overall theme for the 2017 show curated by Formafantasma, encompasses the many directions that came out of this approach. From reconstructions to storytelling, from archaeology to investigative reporting, and from a tool that makes body language noticeable for a visually impaired listener to an analysis of how a flush toilet can become a metaphor for political oppression and racial discrimination.